Of course, gifts like boxes of chocolates and gigantic stuffed bears are old news. If you want something that’ll really make them smile, take a look at some of our top Valentine’s Day gift ideas in wearable tech. Want to gift a fitness wearable? Tread with tact. If your friend or loved one hates working out, a fitness tracker might be the last thing they want to receive on Valentine’s Day — and that’s okay. Instead, check out some of the other devices on our list below. But if they have mentioned interest in something like a Fitbit, and they’re looking for new ways to stay healthy, giving them a great fitness tracker is heartfelt and appropriate. You’re in the clear! Here are our top picks. Eye-catching, affordable, and super sleek, the Withings Activité Pop is an all-around winner for the person who wants a fitness tracker, but doesn’t want all the extra bells and whistles. This watch tracks your steps, runs, caloric burn, and sleep, and it’s waterproof down to 5 ATM. Plus, the Withings Activité Pop never needs to be charged; it’s powered by a cell battery that lasts eight months. Want to really blow their mind? Pick up a pair of these new smart shoes by Under Armour, which are designed to track, analyze, and store every running metric a person needs to become a better athlete. These shoes feature Jump Around, Under Armour’s fatigue test, as well as a membership to MapMyRun MVP. While these shoes are great for runners, they’re also ideal for regular gym-goers. Plus, they never need to be charged. While the new Flex 2 is $50 cheaper, heart rate tracking is really where Fitbit’s user-friendly app excels. 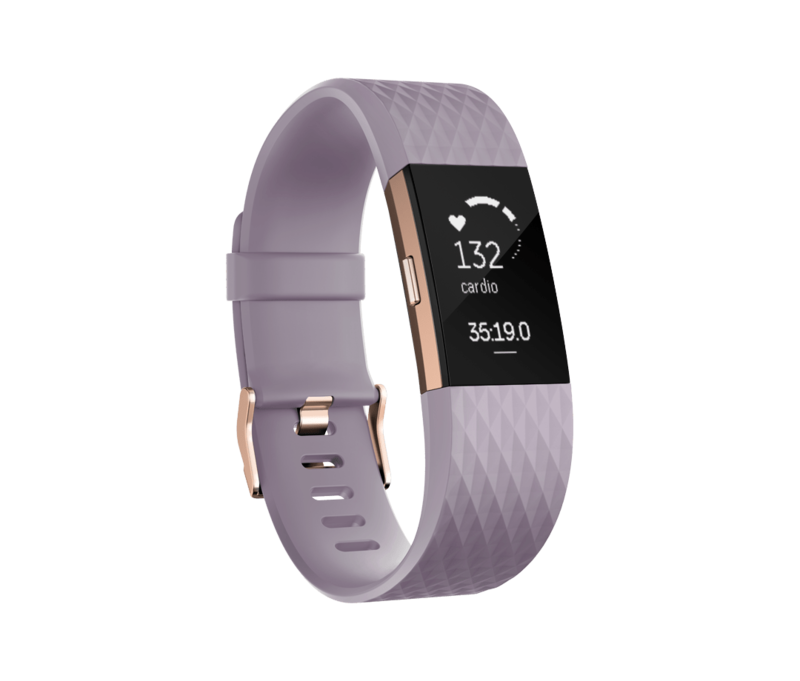 Spring for the Fitbit Charge 2, which offers multi-sport tracking, heart rate monitoring, guided breathing sessions, move reminders, and a five-day battery life. It’s one of the pricier watches on our list, but if you’re looking for the perfect gift for the serious athlete in your life, the Forerunner 230 is a great choice. It tracks the basics, like steps, distance, caloric burn, and sleep. But it goes the extra mile by also tracking heart rate and VO2 max. 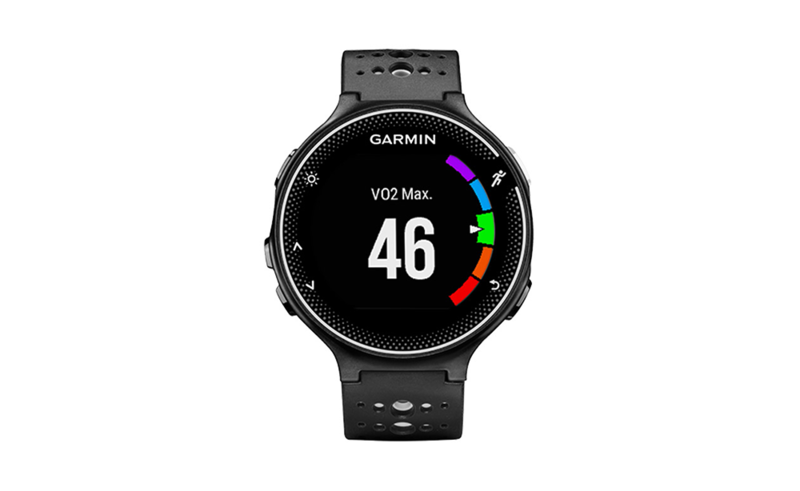 You’ll have access to GPS connectivity, music controls, and smart notifications, and the watch’s app — Garmin Connect — is renowned for its impressive data and social sharing. Yeah, they’re double the price of Apple AirPods — but they do so much more. If you want to gift something that’ll blow someone’s mind, look no further than the Dash by Bragi. These earbuds offer fitness tracking for runners, bikers, and swimmers in the form of heart rate monitoring, real-time voice feedback, duration, and calorie tracking. They truly shine as all-around earbuds: you can independently control each speaker, which feature 3D sound and passthrough audio, and futuristic gesture controls allow you to accept a phone call simply by nodding your head. They’re truly wild, and they’re an excellent gift for the techy fitness fanatic on your list. Looking for something a little more exciting? Want to put down the big bucks on an impressive smartwatch? The options below are great Valentine’s Day gifts for him and her. In fact, you might want one of these gifts for yourself — which we totally support. Looking for something fun you can share with your favorite person? 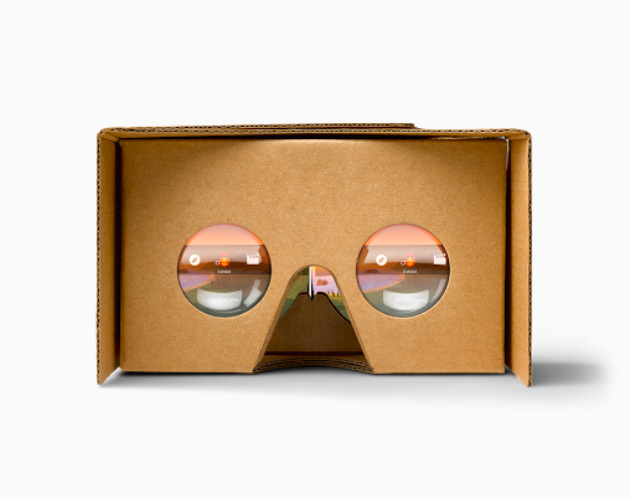 A Google Cardboard headset is an affordable way to quickly and easily experience the weird, wonderful world of virtual reality, no matter what smartphone you have. While other high-end headsets will give you a more immersive experience, the Google Cardboard is cheap enough that you can even buy two — one for you, one for your Valentine. Sit back and enjoy some of our favorite Google Cardboard VR apps, or freak out together over some free VR horror games. Are you dealing with a long-distance relationship? Do you wish you could be closer to your partner in a way that’s only a little bit creepy? Pillow Talk is a wearable tailor-made for couples dealing with distance. It transmits the sound of your loved one’s heart beat in real-time, which you can hear via a speaker that you tuck under your pillow. It’s available for pre-order and is scheduled to ship later this year. Looking for an all-in-one smartwatch that looks great and is compatible with Android and iOS? 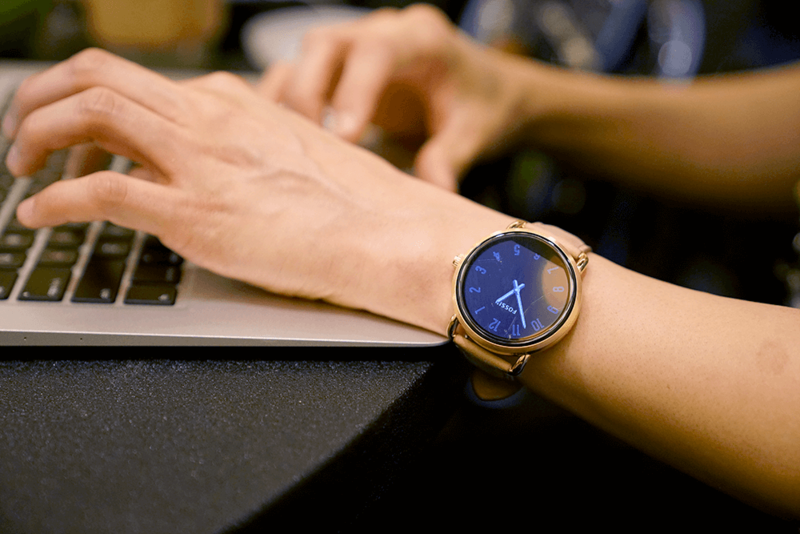 The Fossil Q Wander is a great statement watch that offers activity tracking, smartphone notifications, music control, interchangeable bands, and voice-activated Google Assistant, among other features. While it’s definitely designed for Android, this watch will work well on iPhones with some limited functionality. It lasts approximately 24 hours on a single charge, and it offers an impressive range of styles for anyone you want to surprise on Feb. 14. In terms of impressive smartwatches, the Samsung Gear S3 almost covers all the bases. It is water-resistant, offers GPS connectivity, lasts four days on a single charge, tracks your heart rate, comes equipped with a speaker and microphone so you can receive and respond to calls and texts, and it’s even compatible with both Android and iOS. The only downside? It’s huge. Unlike the Apple Watch, which is available in two sizes, the Samsung Gear S3 may swallow smaller wrists. Of all the gifts on this list, an Apple Watch Series 2 easily has the most name recognition — but there’s a reason we didn’t include it in our fitness tracker list. For iPhone users, an Apple Watch is a valuable extension of the phone, allowing you to respond to texts, take calls, and set reminders, among a ton of other features. But for fitness tracking, it falls short in battery life. If your Valentine is looking for a sleek smartwatch that was built for their iPhone, an Apple Watch is a great buy. But if they want a fitness tracker with bigger data and fuller features, look elsewhere — specifically, Garmin or Samsung. Did we miss your favorite wearable gift? Let us know in the comments below. You might want to get one of these gifts for yourself.